Question: Congratulations! Monstrous will be out in the world very soon! How do you feel? Answer: Terrified. And crazy excited. So, terrifited? Really, it’s just surreal that my book is going to be on shelves, and in readers’ hands. Question: Think about how you imagined publishing to be before you landed your agent. Now think about how it’s actually been. In what ways has reality differed from your imagination? Answer: I was fortunate that several of my critique partners got agents and deals before me, so I had some insight already when it was my turn. However the one big thing that surprised me (and really shouldn’t have) was that publishing can be really slow. And really fast. At the same time. Basically there’s a lot of hurrying up to wait. And that isn’t a complaint; it’s just a side effect of a process that requires a small army of people to function. Once you’re in the publication pipeline your book belongs to so many more people than just you, and that takes some getting used to! Question: The title, Monstrous, is creepy and intriguing. Who came up with it? Answer: Me! :) I love titling books, and that along with the opening page were two of the first things I came up with. Question: And that cover is fascinating! Without spoilers, can you tell us more about it? How well does it represent the story? Answer: Thank you, I love the cover so much! The team at Harper did an incredible job, and the artist pretty much plucked my main character out of my head and placed her on the page. Everything about it is spot-on. Her expression – wide-eyed and innocent, and a little bit worried – to the castle and city behind her, and the river and creepy forest hinted at on the back cover. It’s a scene that could take place on any of the nights Kymera has to sneak into Bryre and save the girls. Question: Monstrous sounds amazing! Where did the idea come from? According to your bio, Monstrous is Frankenstein meets the Brothers Grimm. That’s absolutely epic! Why Frankenstein? Answer: The idea for Monstrous came to me randomly. I was on my way into the city to meet friends for dinner and was stuck in gridlock traffic when the first line popped into my head. I had to write it down on my iPhone (the car was not moving an inch, I swear! ), and spent the rest of the night very distracted and jotting down possible plot twists. I had to know who would say those words in that first line (“I will never forget my first breath.”)! The Frankenstein elements came organically out of exploring who the character was, why she would say that, what she’d look like, etc. It was a perfect match for exploring the theme of what really makes a person a monster. Question: Did you do a lot of research for Monstrous? What was the most fascinating thing you learned? Answer: Not really, but I did spend a fair amount of time reading Frankenstein and a big book of Grimm’s fairy tales if you count that? I was fascinated to learn that many of what we see as classic fairy tales actually have several different versions. Question: In your Frankenstein retelling, the “creature” is a young girl. How do you think her experiences differ from those of the creature in the original Frankenstein? Do you think it’s easier for kids/teens to relate to your MC as opposed to the creature in the classic? Answer: Monstrous is more inspired by Frankenstein and Grimm than a real retelling, but the big similarity to Frankenstein is Kymera’s monstrous form and how she feels alone in the world. She’s one of a kind. Also the idea of what really makes a monster connects them too. I hope kids will connect with Kymera, not because she’s like Frankenstein, but because sometimes everyone feels like they’re alone, like they’re on the outside looking in. A lot of kids struggle with that – I know I did when I was in middle school! 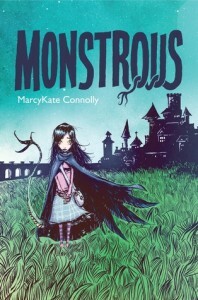 Question: What lessons can readers learn from Monstrous? 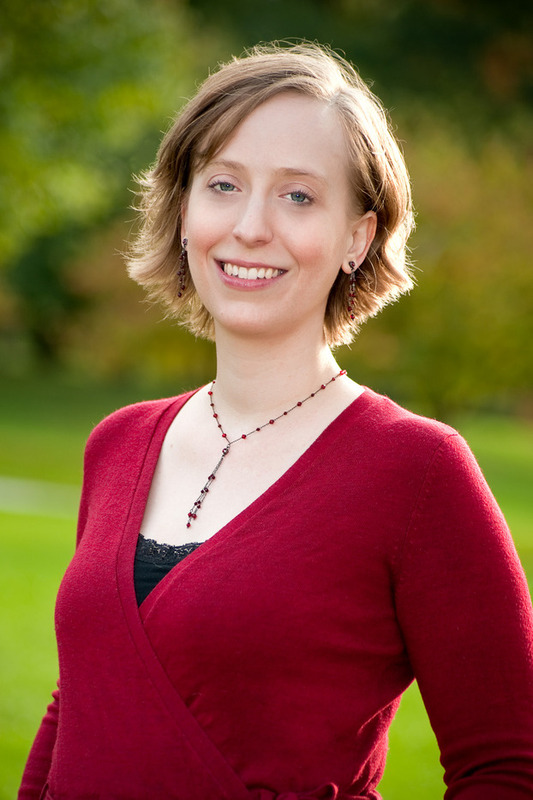 Question: Do you think retellings encourage young readers to read classics? Answer: That’s a good question! I’d like to think that retellings have the ability to pique interest in the original stories too. They’re classics for a reason, and many of their themes translate to updated versions quite well. Now I’m curious to know if anyone’s ever done any research on this! Question: If you could write a retelling for any classic, what would it be and why? When I was a child I dreamed of becoming a Broadway star. I read my first Shakespeare play (A Midsummer Night’s Dream) in elementary school. It wasn’t until I went to Hampshire College that I began to write and compose seriously. I wrote an opera chronicling Hamlet’s journey through the afterlife and using a potpourri of Shakespeare’s own words for the libretto as the culmination of my course work. Eventually I realized that one of my favorite parts of the process was devising the plot of the opera. While I still dabble with music from time to time, my main creative outlet is now writing books. Though I’ve written poetry as long as I can remember, I began my first full-length novel in 2008 and completed it in 2009. Since then I’ve completed seven other novels including MONSTROUS (Upper MG Fantasy, Frankenstein meets the Brothers Grimm) and have three others languishing in various states of incompletion and disarray. I have more book ideas than I know what to do with, so I always have many other projects in the works!